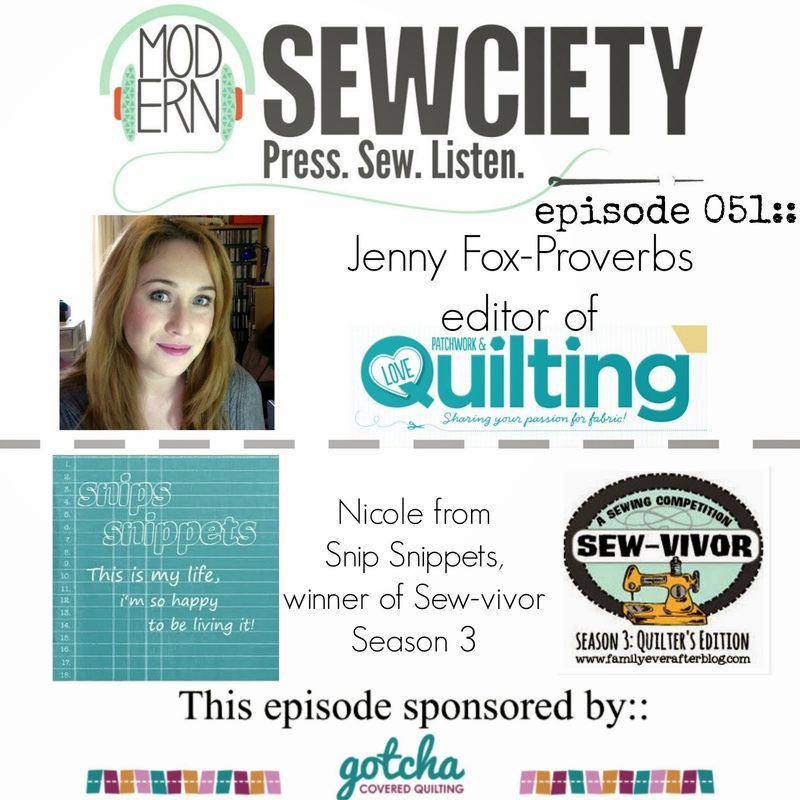 snips snippets: Welcome to the Long Time Gone Sew-along! 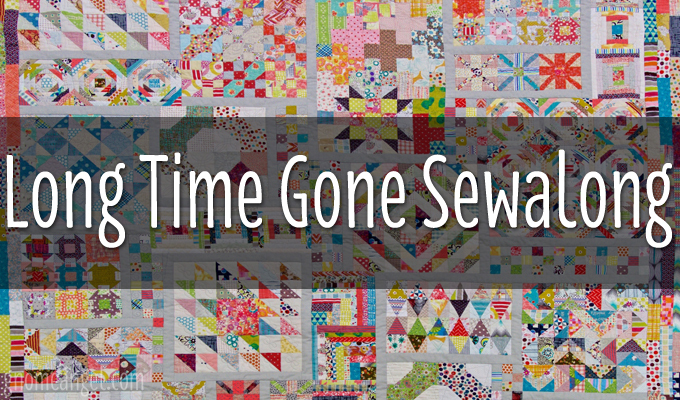 I'm so very excited to be making another one of Jen Kingwell's fabulous quilts! And equally excited that so many people are wanting to join in! Angie, (@gnomeangel) my quilty partner in crime for this event, has been receiving emails daily asking for more information. So without further ado, we bring you the first installment! Grab a snack, it's a lot of information! The big news is that we've moved the start date from 1 February to 15 March. We've done this to help people get their hands on patterns and supplies. It also means that you'll have a bit more time if you're confident enough to start sewing before we release the tutorials. 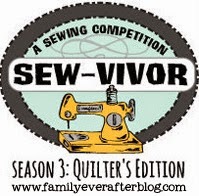 I'll be honest with you, you're going to need all your sewing and time management skills if you want to be eligible for prizes with this event. This quilt was originally offered as a Block of the Month (BOM) in 2016 and with good reason, there are a lot of blocks in this quilt! However, we're not ones to back down from a challenge so we're going to give you a tight 4 months to get this quilt top made. 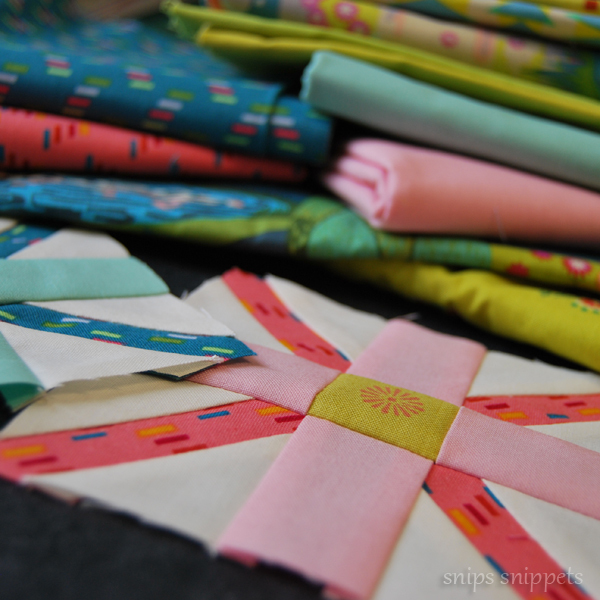 And trust me, once you get planning and sewing the blocks you won't want to stop! 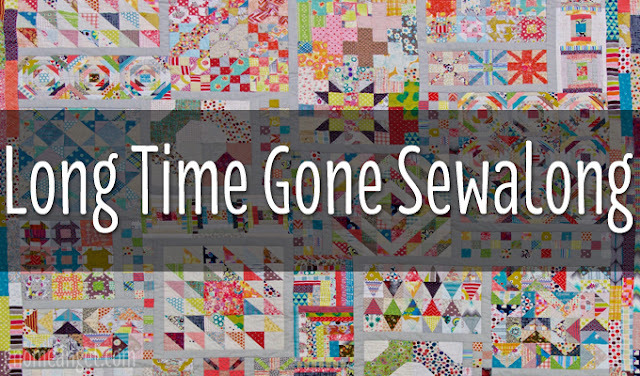 I've found Jen Kingwell quilts to be highly addictive! The quilt top is entirely machine pieced with no y-seams so there's nothing too scary involved, it's just going to be a lot of sewing with small pieces. Not sure if any of you have noticed but I LOVE sewing with tiny pieces! Micro piecing is my jam for sure! Paying attention to your accuracy will be crucial for this quilt! But trust me, it's entirely do-able and I have every confidence that you'll be able to do it. 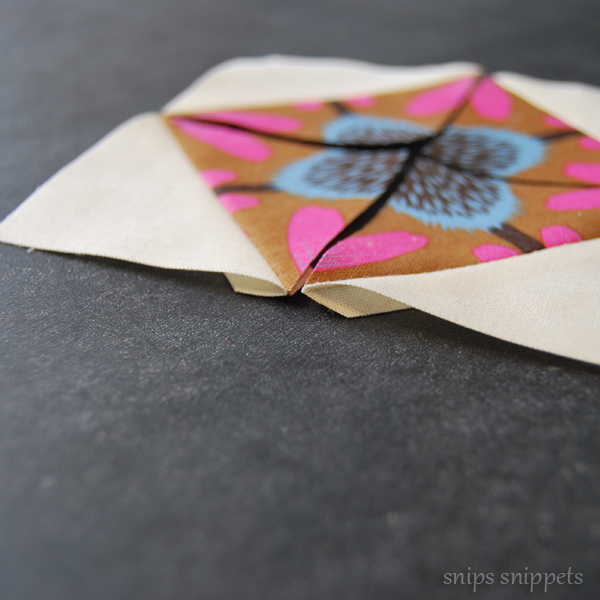 There is foundation paper piecing as an option for one block, but it's really simple so if you've never done FPP before this is a good way to learn. 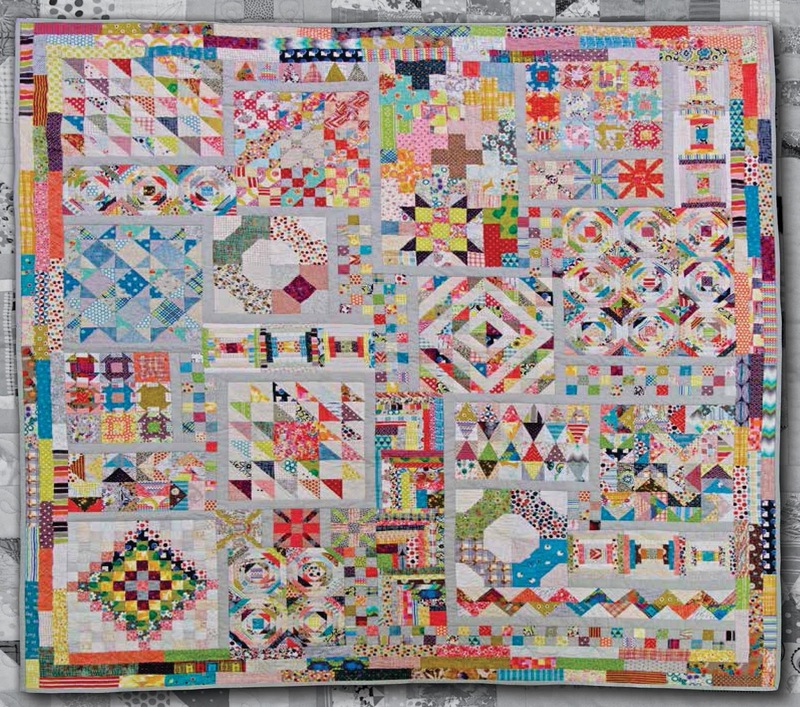 Also, Marti Michell will be providing ways to do it without foundation paper piecing so you'll have options. It's going to be an exciting rollercoaster and I'm so honoured that Jen Kingwell has entrusted us with her quilt. Now, let's get down to the details you've all been asking for. I'm thrilled to announce that I'll be partnering with Angie Wilson of Gnome Angel and Marti Michell to bring you this event. Angie and I met 3 years ago when we both competed in Sewvivor. She had me from her first email to the group when she all but declared her love for Dean Winchester. Feeling quite mutual on that topic I knew that we would be fast friends. That was further cemented when a couple days into the competition she emailed me and told me she loved me, true story. Fast forward to Quilt Market 2016 and her grand gesture to let me crash her vacation and sleep in her hotel room if I wanted to come. To this day I'm still not sure if it was made as a joke or not but there was no way I was passing that chance up! We had such a great time and it was at Quilt Market that we hatched the plan to do this sew-along. So for the three or so of you out there that don't know Angie yet you're in for a treat! She is by far one of the most wonderful people I've ever met and the lady has skills like you wouldn't believe! We'll also be teaming up with fantastic Marti Michell (from the Farmer's Wife 1930's Sampler Quilt Sew-along). Marti I think is a wizard. That's the only way to explain her skills. I saw her for the first time in her Schoolhouse session at Quilt Market and she blew my mind! She's going to be making her version of the quilt with her templates and sharing how you can do the same. I can't wait to give her templates a try! One of the reasons we moved the start date of this sew-along was to provide everyone with enough time to order the pattern. At the moment you can order the pattern via Amitie Textiles by clicking here. There will be stockists available in the US and we will provide this information on Wednesday 18 January 7:30am (AEST) to help you secure your own copy. If you live outside the US and Australia please drop Angie an email (so she know where she has to find a stockist) and we will try to help you out. I'll look into finding some stockists here in Canada as well! Unlike previous sew-alongs we're going to provide you with the order we'll be covering everything so you can start to plan for your approach to getting them done. As we've said before, and we'll continue to say, this sew-along is going to test your accuracy, your endurance and your stamina. It's going to be totally worth it, so get ready to have a heck of an adventure. We've listed the block names and how many of each are required. We will be releasing one tutorial a week for each block type. To keep up with the sew-along you will be required to make the required numbers of each block per week. Angie and I are going to alternate providing tutorials for the blocks. Tutorials will be posted on Wednesday's at 7:30am AEST. (This is Tuesday 3:30pm EST for me in Canada.) If you live outside of these timezones you can use the following website to do the time conversion, click here. You will need to use Sydney, Australia as the city for Australian Eastern Standard Time. The following list shows the breakdown of who will have the tutorial for which block. Don't worry, if this all seems too much for you both Angie and I will post on Wednesday's at 7:30am AEST (Tuesday 3:30pm EST) to remind you that there's a tutorial and point you to the right place to find it. All you need to do is follow our blogs and you'll have all the information you need. Marti Michell will be helping you conquer Long Time Gone by providing template conversion charts so that you can use Marti's templates to construct the quilt. It is not compulsory to use these templates to complete the quilt. We're offering you this as an alternate method because we believe the templates will help with accuracy, conserving your fabrics and allowing you to easily fussy cut. Both Angie and I have partnered with our favourite fabric designers to make our quilts in nothing but their fabrics. I will be making mine entirely in Anna Maria Horner with some coordinating FreeSpirit solids. And Angie will be using nothing but Alison Glass fabrics. We're really excited to share our versions with you all. How about a sneak peak of mine?!! We know that fabric selection can be a bit tricky for a quilt like this so we'll be sharing our thoughts about it with you all on Wednesday 25 January 7:30am AEST (Tuesday 24 January 3:30 EST). We've also partnered with Alison Glass, Anna Maria Horner and Jen Kingwell to offer you fabric bundles to help with your fabric selection and we'll have details about this included in the fabric selection post. Trust me, you're going to want to have a shot at winning these prizes. We'll be announcing the final sponsor line up, full prize details and how you can be eligible for prizes on Wednesday 18 January 7:30am AEST (Tuesday 17 January 3:30 EST). You won't want to miss a thing, so to help with that I'd recommend signing up to Angie's weekly email newsletter. You can do so by clicking here. Newsletters are sent every Monday and contain all the information you need about all the events that she's hosting, things she find from around the internet, community cork board and other great finds. Trust me, you want to sign up! The decathlon of quilts requires a decathlon blog post!!! You are the perfect quilter to make this quilt and i can see already that i am going to live watching you bring your quilt to life!!!! Jen Kingwell came to my Patchwork group in 2016 and I fell in love with her quilts. The group have made Green Tea and Beans to use as a raffle quilt for charity at our next Quilt Show and I personally am three quarter the way through Gypsy Wife. This one intrigues me as well and would like to join you. I hope I can keep up and it will be a challenge for me in regards to fabric choice as I will be using from my stash which I hope to make a hole in! I finished my Gyosy Wife quilt in March /April 2016 and 100 days 100 blocks later in the fall (American thanksgiving) so I think I can do this one too. I cannot find the pattern at the site you list in Canada but thats likely due to my lack of tech ability, so will order from somewhere else. Looking forward to advice re color ways etc. Oh that's so good to know! Thank you and glad to have you sewing along with us!! 1. I have been wanting to sew Gypsy Wife for ages and still plan to do it. Are you going to use Marti's templates or just the pattern? Since you've sewn Jen's quilts before I'd really like to know your opinion. Ive never used templates much but I have dicovered the convenience of a good ruler :) I was thinking that the templates could come in handy for Gypsy Wife...which could justify the purchase! Thanks in advance for any advice or input. Just FYI I posted the same question #2 to Angie as well! Hi Alane, You're a no reply blogger so I hope you pop back to read this!! Hi! There is no official sign up, just a sew-along! We'll be kicking off in March and hope you can sew along with us!! Just wondering, what is the finished size of the quilt? Hi, Courtenay, the quilt finishes at 66.5 x 67.5! Hi Nicole: Was thinking of joining in until I saw the crazy schedule so I'll pass this time....but maybe the next time...if there is a next time.